The Department for the Economy (the Department) has accepted a disqualification undertaking from the director of a joinery business. The undertaking was received for four years from Patrick Gallagher (44) of Ranaghan Road, Maghera, in respect of his conduct as a director of Gallagher Contracts Ltd. 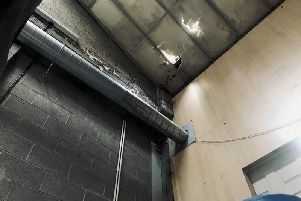 The company traded as a joinery business from Ranaghan Road, Maghera and went into liquidation on 6 March 2014 with estimated total assets available for creditors of £15,000, liabilities to unsecured creditors of £261,197 and an estimated deficiency as regards creditors of £246,197. After taking into account the losses incurred by members (the shareholders) of the Company, the estimated total deficiency was £246,199. Causing and permitting the Company to fail to comply with its statutory obligations in that annual returns for the years ended 26 March 2008 to 26 March 2011 inclusive were filed late and the annual return for year ended 31 March 2013 was not filed at all. The Department accepted 25 Disqualification Undertakings and the Court made three orders disqualifying directors in the financial year commencing 1 April 2016.